KTL Solutions provides support during the hours of 8:30AM to 5:30PM EST, Monday through Friday. There are there options on how you can report your support problems. Support options include remote, phone, and email but are all generated through our client support portal. KTL Solutions utilizes state-of-the-art, web based, remote control technology. No software needs to be installed on the computer for KTL consultants or technicians to control and diagnose your computer program. The technology we employ works over existing firewalls and does not compromise your security. This technology enables KTL consultants or developers to provide real-time support from any location. 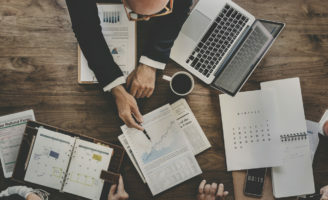 This streamlined approach will help reach a resolution for your issue quickly and efficiently. Clients can call our main office line at 1-866-960-0001 to receive technical support. When you place the initial call for an issue, your information will be recorded and entered into the KTL Client Support Portal. KTL Solutions provides a 3 business hour response time from the time your call is submitted. Please note that depending upon your issue, it may not be resolved within this time frame. One of our team members will contact you to ensure that your issue is resolved as quickly as possible. The person that responds to your support incident will be the person you work with until the incident is resolved. Your support request email will be entered into the KTL Client Support Portal, with follow up procedures as stated. 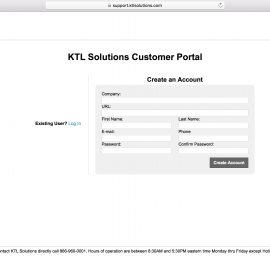 Never used our KTL Solutions Client Portal? Need a refresher on how the portal works? Here is a quick walk-through of what you need to do in order to setup your account, login, and submit a request. Navigate to our portal site. If you already have been assigned login information, you are ready to sign in. Your login credentials would be your email address as the user name with your password being your last name followed by “1234”. If you haven’t been assigned login information, click the ‘Create Account’ button located below the login section. Make your user name your email address and your password your last name followed by “1234”. If you forget your password in the future, you can request it from the website. Submit an “Incident” for support with ERP, CRM, or any other business solution. You can also submit an “Incident” for a support request for custom software designed by KTL Solutions. After your Incident has been submitted, a KTL Consultant or Developer will contact you in response to your submittal within 3 business hours. Business hours are 8:30 AM to 5:30 PM.